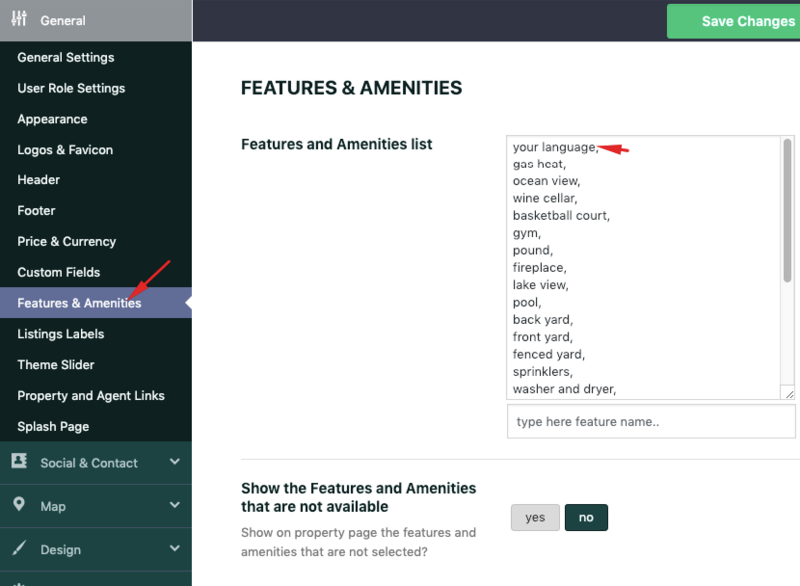 Residence theme offers human translations and machine translations. If you would like to contribute and improve the existing translations, we appreciate the help. You can send us the translations in client support http://support.wpestate.org/ and we will make sure they are listed in the next theme update. 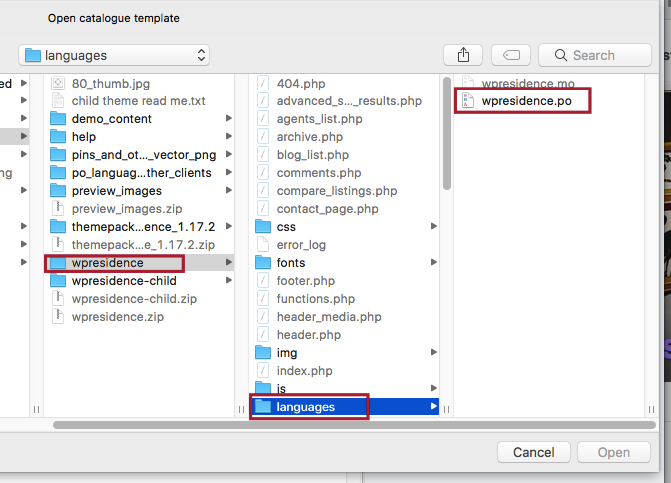 The Translated languages are already included in the child theme and Wp Residence Core plugin. 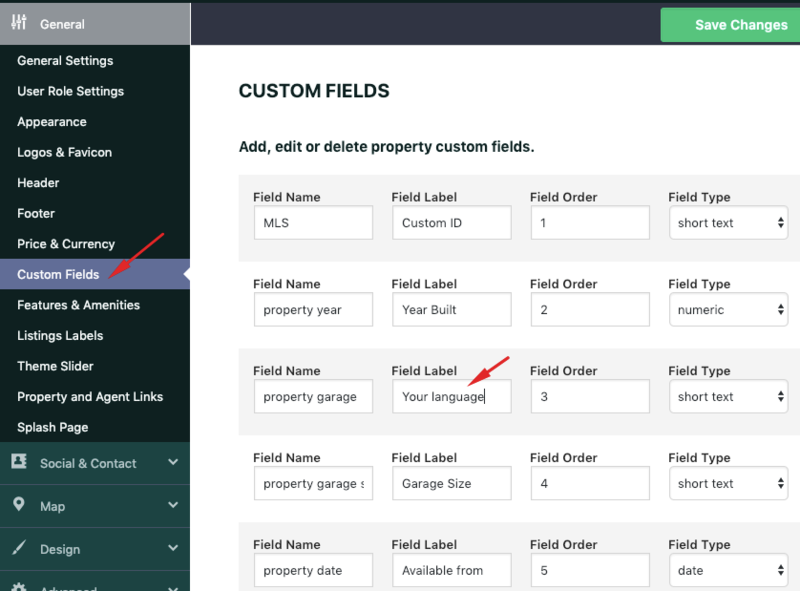 Go to Dashboard → Settings → General and select one of the available languages from Site Language drop down. 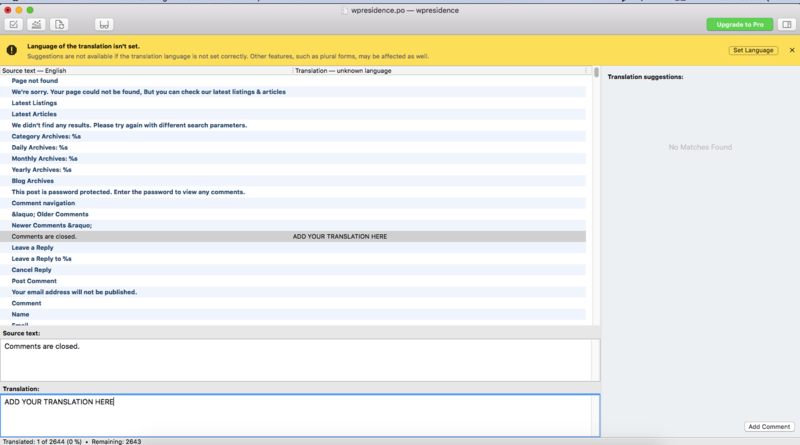 Make further edits with Loco Translate plugin or using POEDIT software on your local computer. If you change the plugin translation, backup your new .po and .mo before you update as your translation will need to be restored. There are two ways to translate a theme for a single language website. 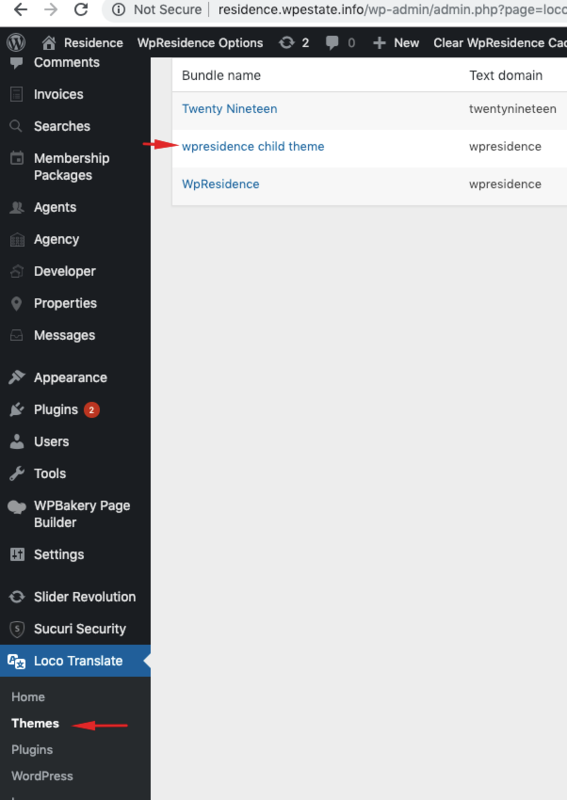 Loco Translate Plugin allows you to translate theme directly from WordPress Dashboard. 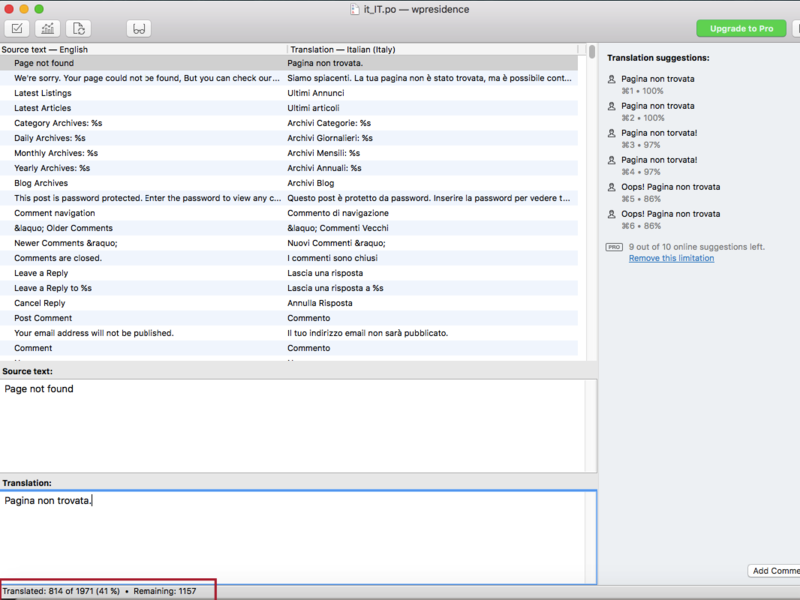 You can edit an existing translation or create a new language. Follow the steps below for installation and configuration. 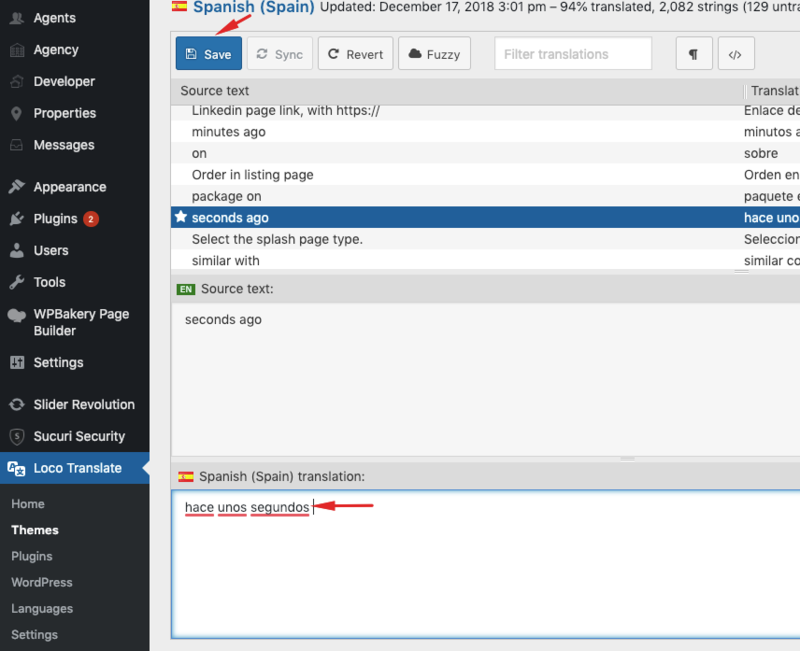 Step1: Install Loco Translate Plugin via Dashboard → Plugins. Activate the plugin. Step 2: Go to Dashboard → Loco Translate → Themes or Dashboard→ Loco Translate – Plugins and click the name you want to translate. 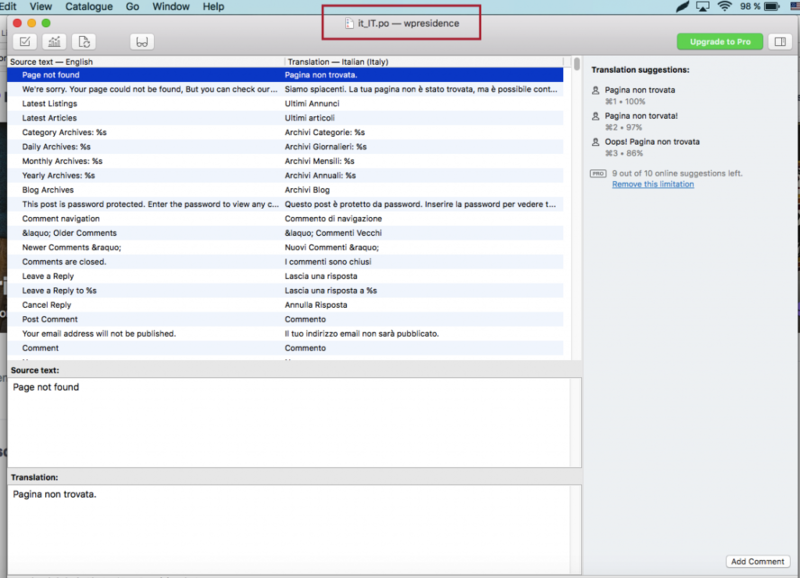 Step3: If there is no translation .po, create one. 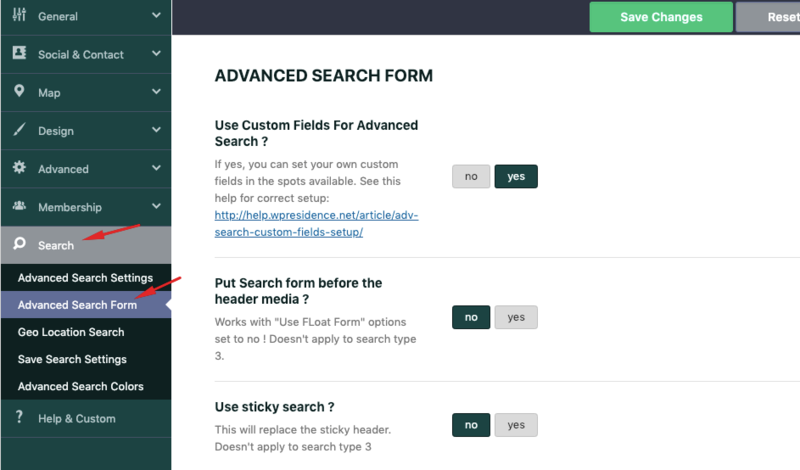 Go back to the theme page again and click on New language. and to Plugin page and click on New language. Skip Template. Poedit is an application that must be downloaded and installed on your computer. 4. Start adding the translated words for each theme string. 5. After the translation is done, you need to SAVE and rename both .po and .mo files with the proper name (for example de_DE.po). 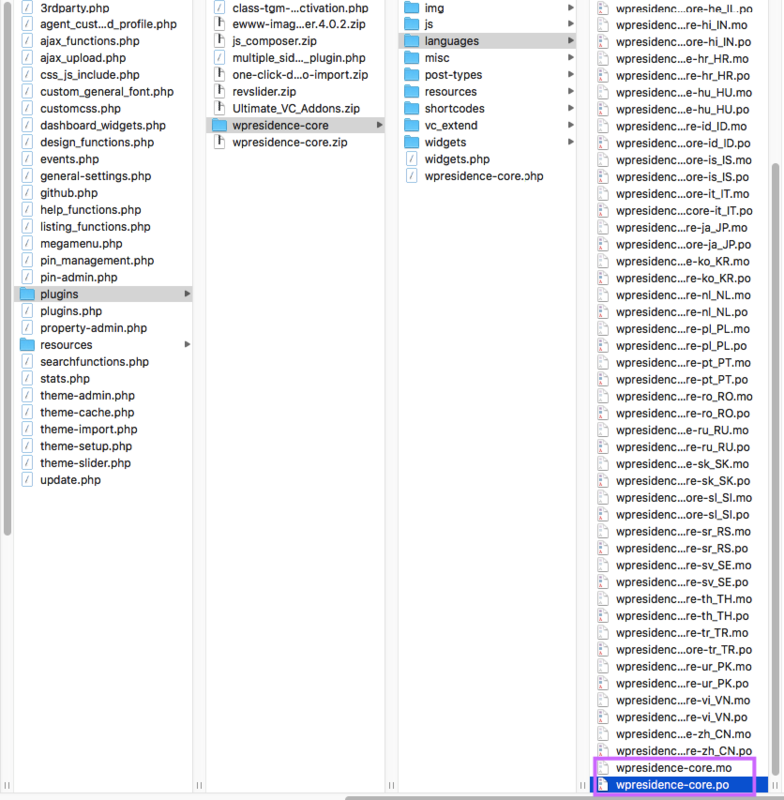 If the file name is not right the translation will not work. See this link for the proper name. wpresidence-child-po/languages – You should have now wpresidence.po, wpresidence.mo + your new language po and mo. plugins/wpresidence-core/languages/ – You should have now wpresidence-core.po, wpresidence-core.mo + your new language po and mo. 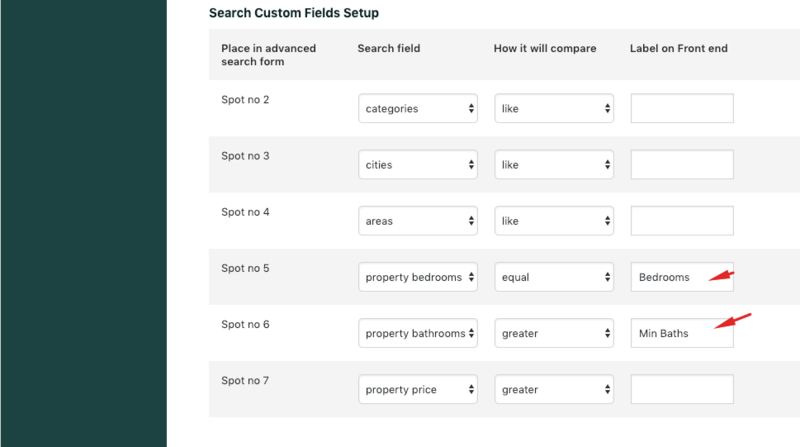 NOTE: Some default properties fields are managed from POEDIT (Address fields, Bedrooms, Rooms, Bathrooms, Size, Property Size). 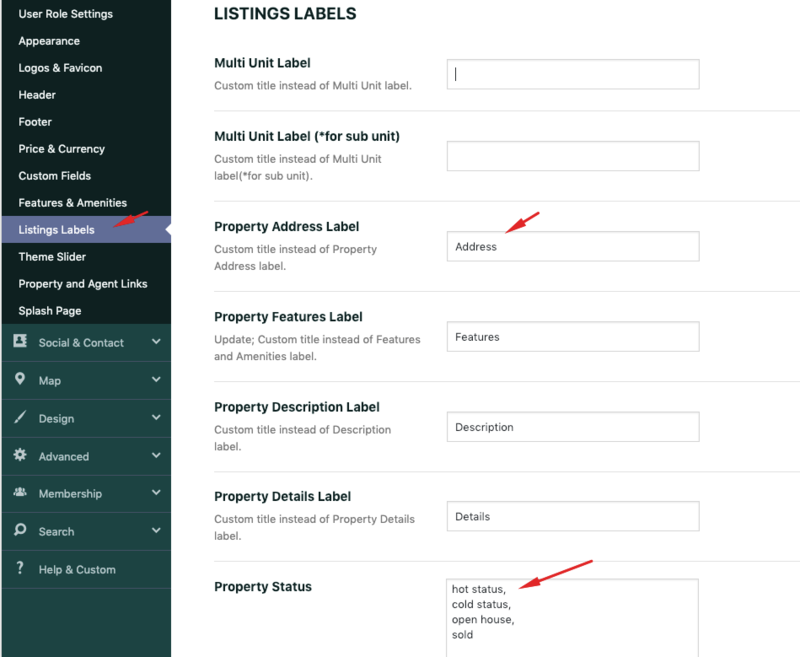 Note 2: Dropdowns (All Cities, All Areas, All Types, All Listings – are managed only from .po translation). If we add new terms to wpresidence.po and wpresidence-core.po then your translation will have to be updated as well in order to include the new terms. Update can be done only with POEDIT. 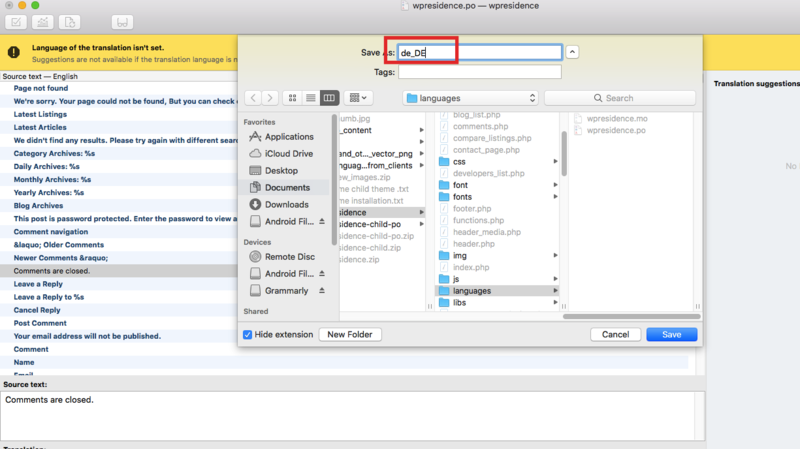 Step1: Open up your existing language PO file with Poedit software. Step 4. Once the import is completed, all the new string from the new PO file will be added and your existing (translated) string will remain intact as well.